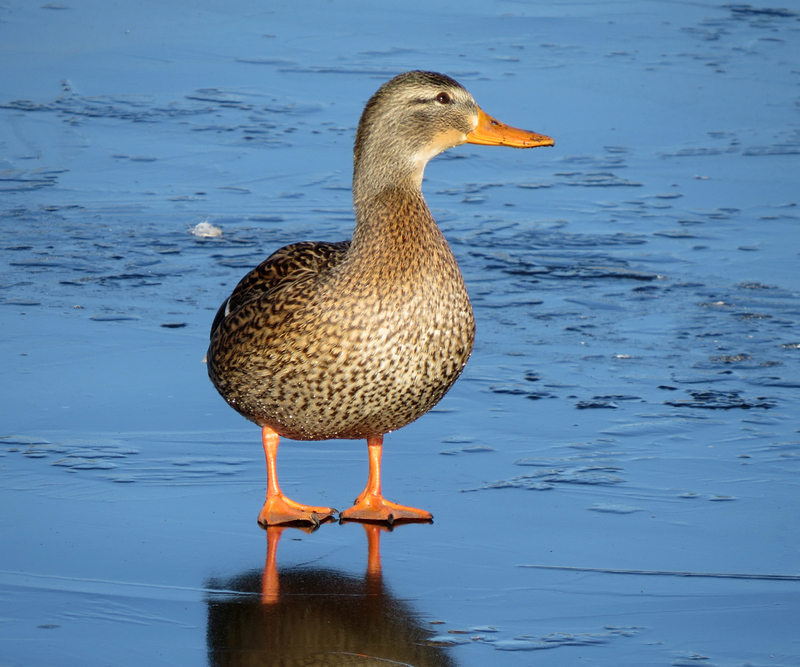 I went out for a few hours on New Year’s Day to scout locations for my upcoming gull class. The weather was freakishly sunny for a January day in the Portland area. The only gull flock I found was at Amberglen office park in Hillsboro. 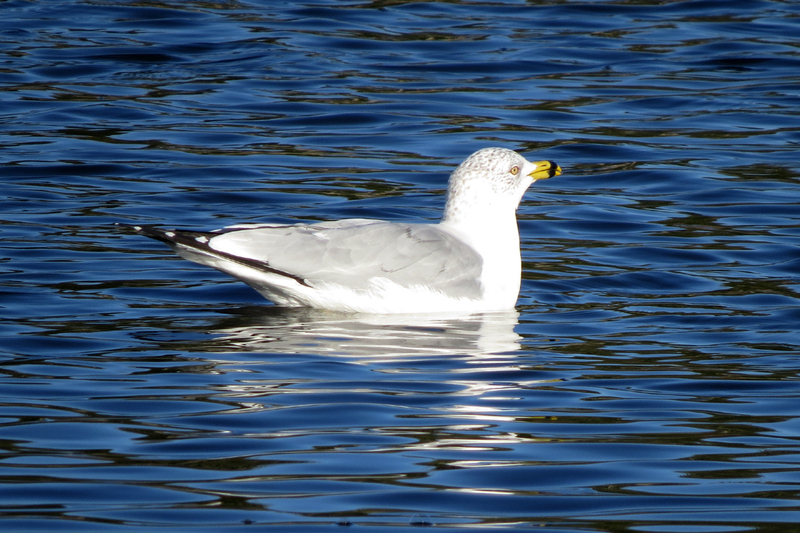 Most were Ring-billed Gulls. 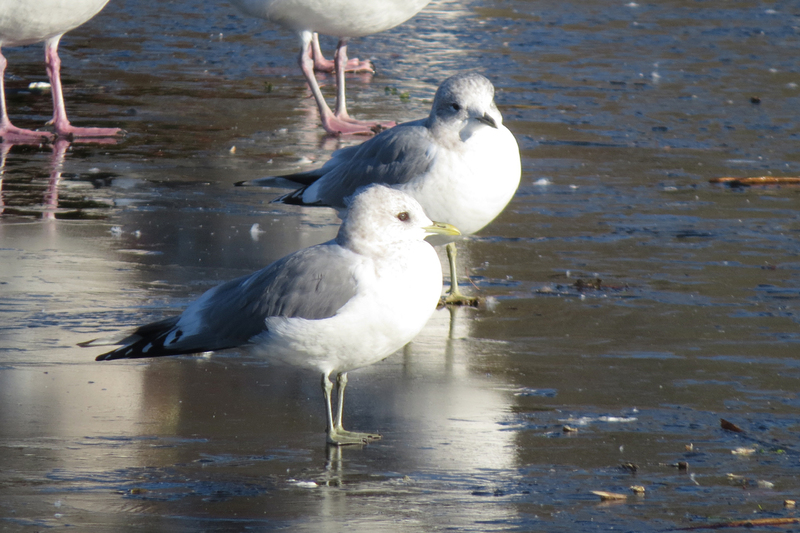 Here is a first cycle Ring-billed with an adult. As you can see, I am totally incapable of getting a good photo of white birds in bright sunlight. 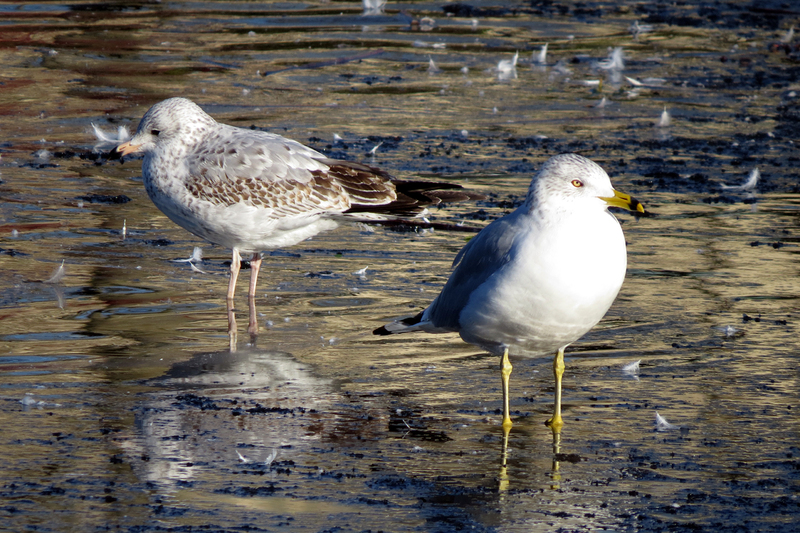 These two Mew Gulls were looking very petite among the larger species. 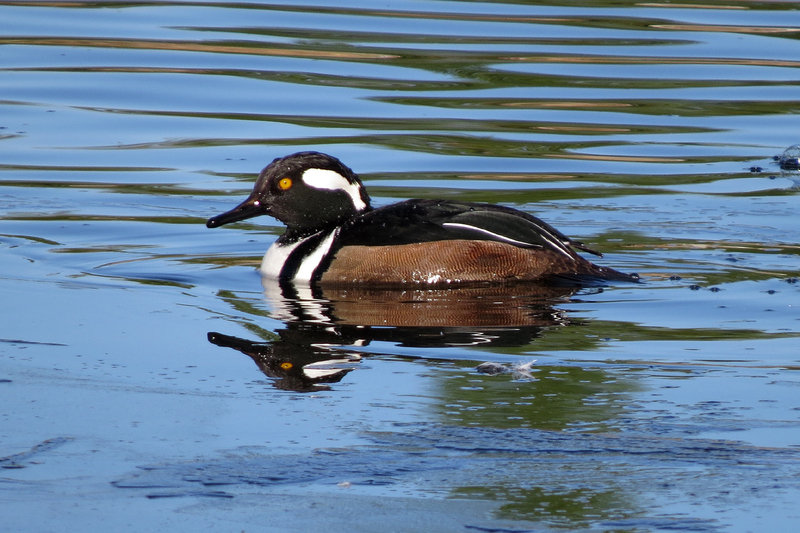 A couple of Hooded Mergansers were swimming near the fountain. 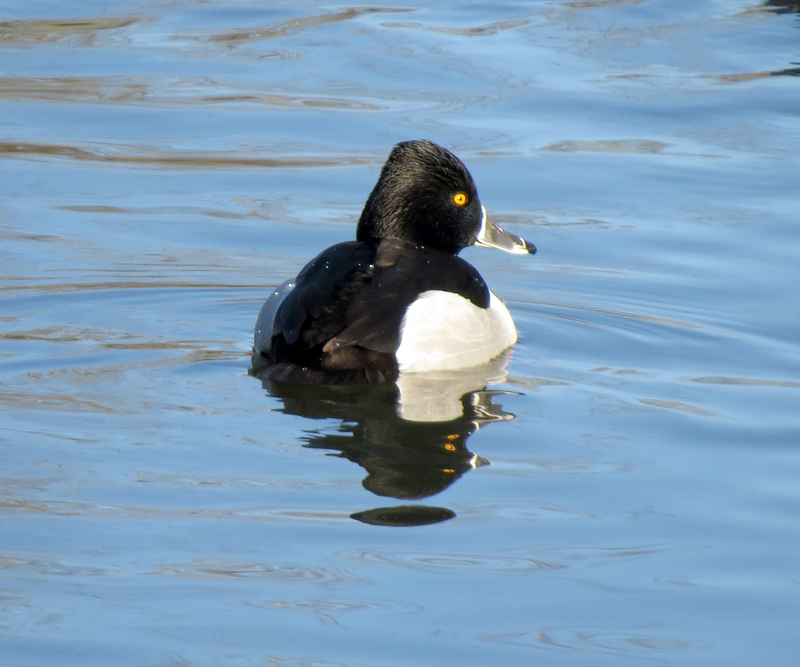 Finally, a bird that doesn’t have a lot of white. 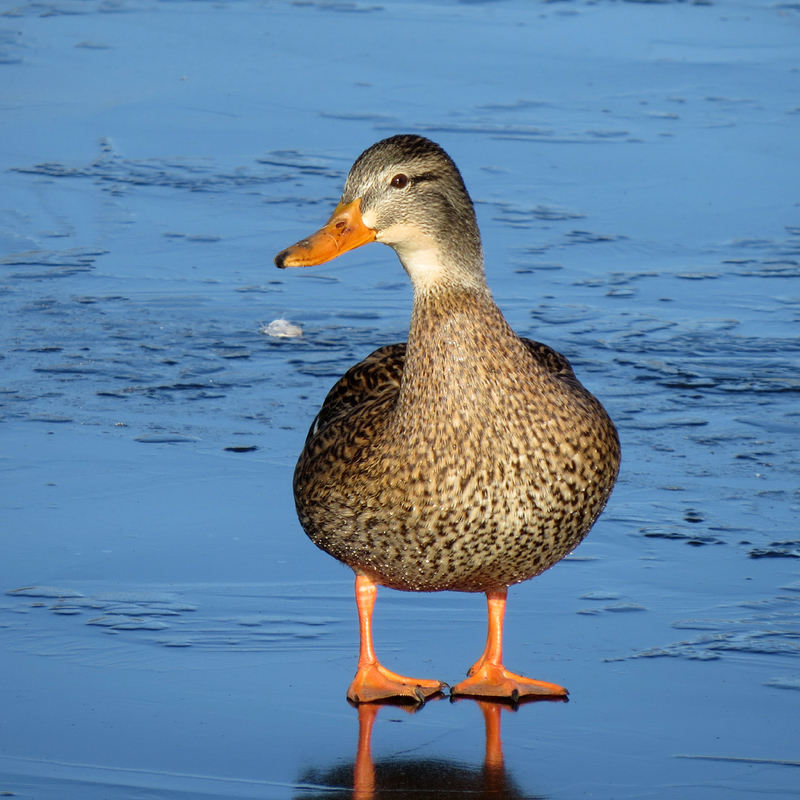 This Mallard was looking gorgeous in the bright sun. 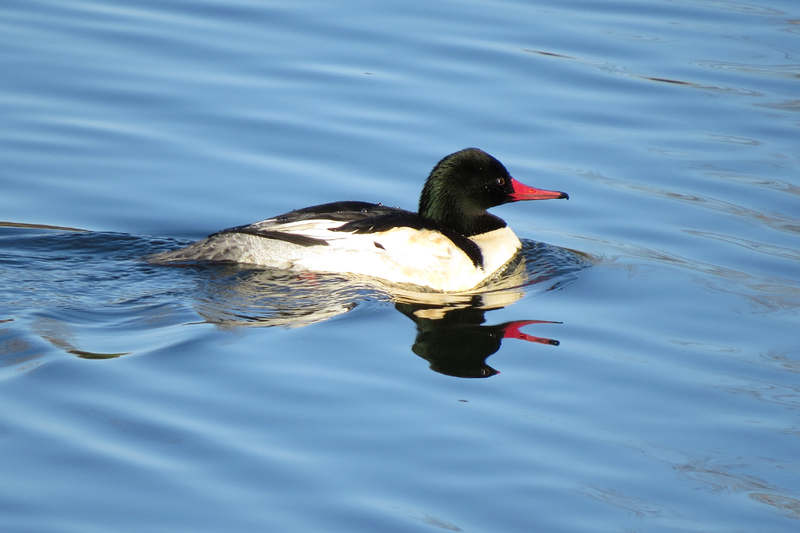 This entry was posted in OR Birding Sites and tagged Common Merganser, Hooded Merganser, Mallard, Mew Gull, Ring-billed Gull, Ring-necked Duck. Bookmark the permalink.